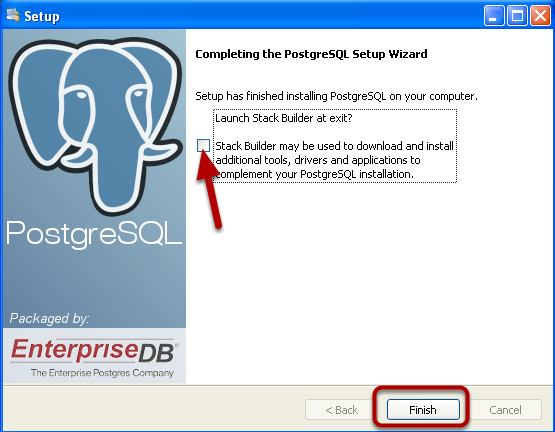 A standalone installer is available for the PostgreSQL database. 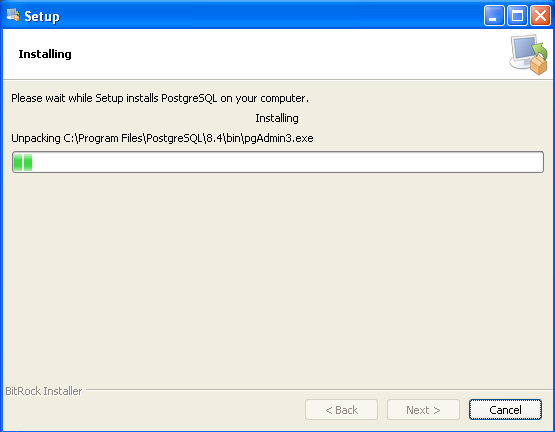 To download the installer for Windows visit http://www.postgresql.org/download/windows. Follow the link for the One click installer. On the next page click the link for Windows. 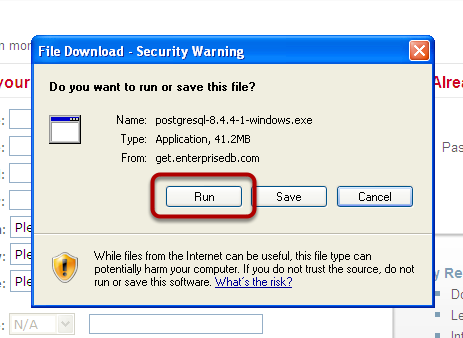 If you are asked whether you want to run or save the file click Run. 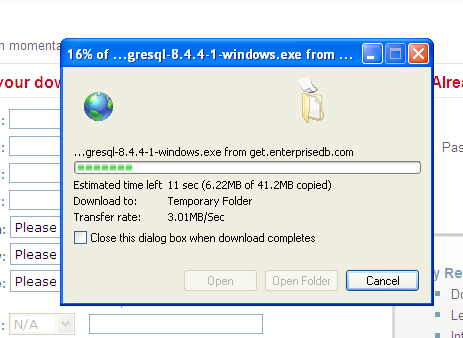 The installer will begin downloading. If you clicked the Run button then confirm any dialogs that might pop up. If you saved the installer then locate the installer on your computer and launch it. When the installer appears you can accept all of the default values by clicking the Next button. 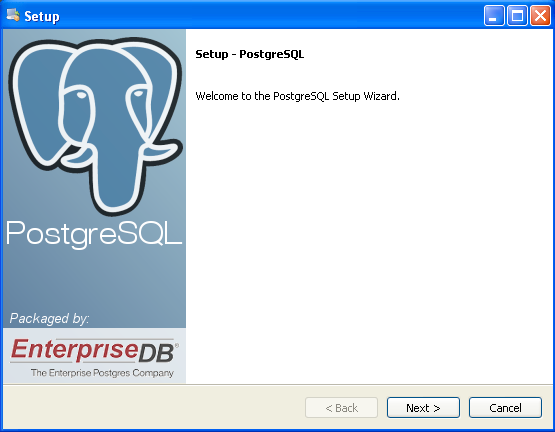 You will need to enter a password that you will need to access the PostgreSQL server later on. Make sure you remember the password you enter. After a successful installation you will be prompted to launch Stack Builder. You can uncheck this checkbox and click Finish. PostgreSQL communicates over port 5432 by default. If you have a Firewall installed make sure you open this port. 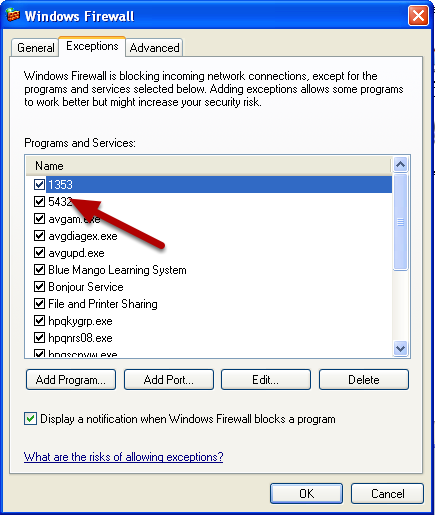 This screenshot shows an exception that was added to Windows Firewall.